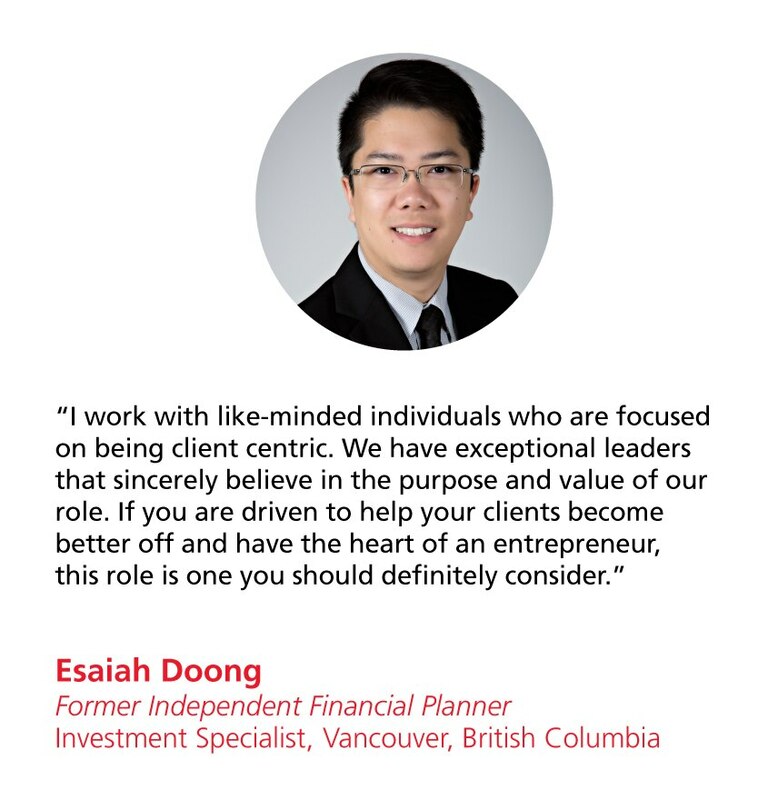 At Scotiabank, our philosophy is helping our clients become financially better off. 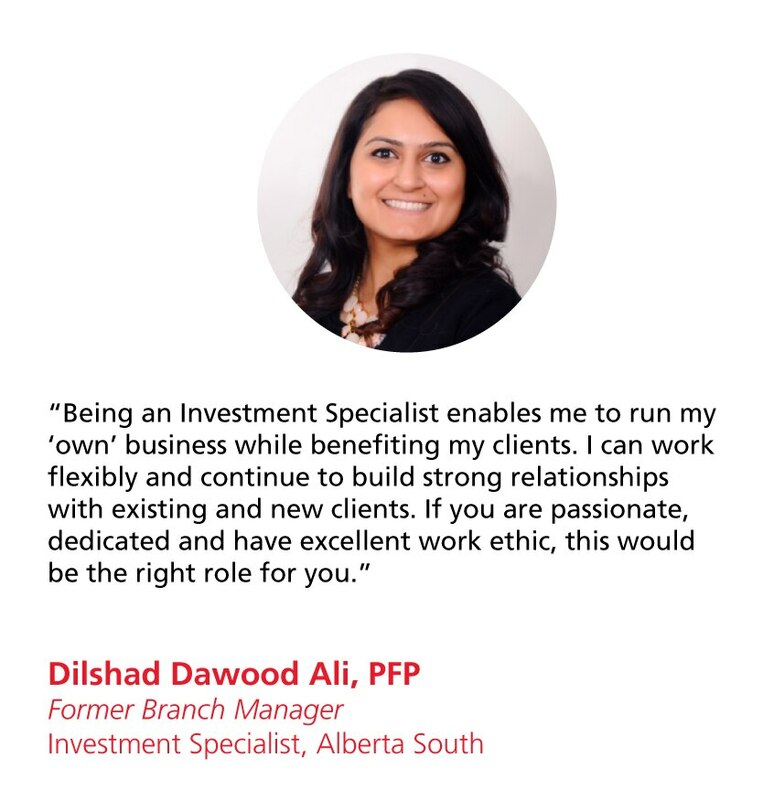 Our passion is seeing them achieve their goals on their own terms. 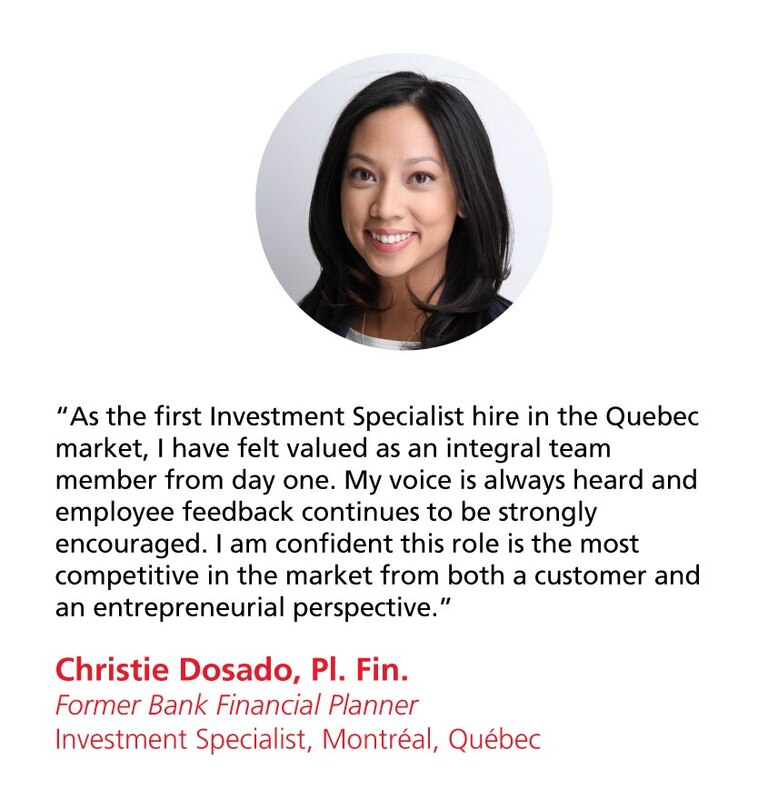 Our vision is supported by a powerful combination of in-house investment talent and world-class global partners. 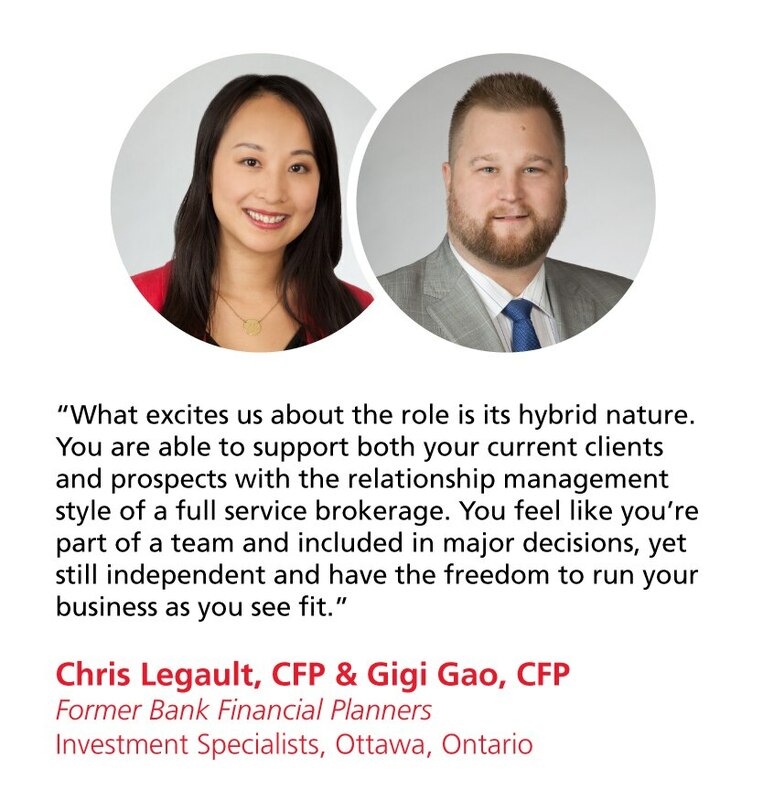 As an Investment Specialist, you will build customized financial plans for your clients leveraging our full range of competitive investment options. 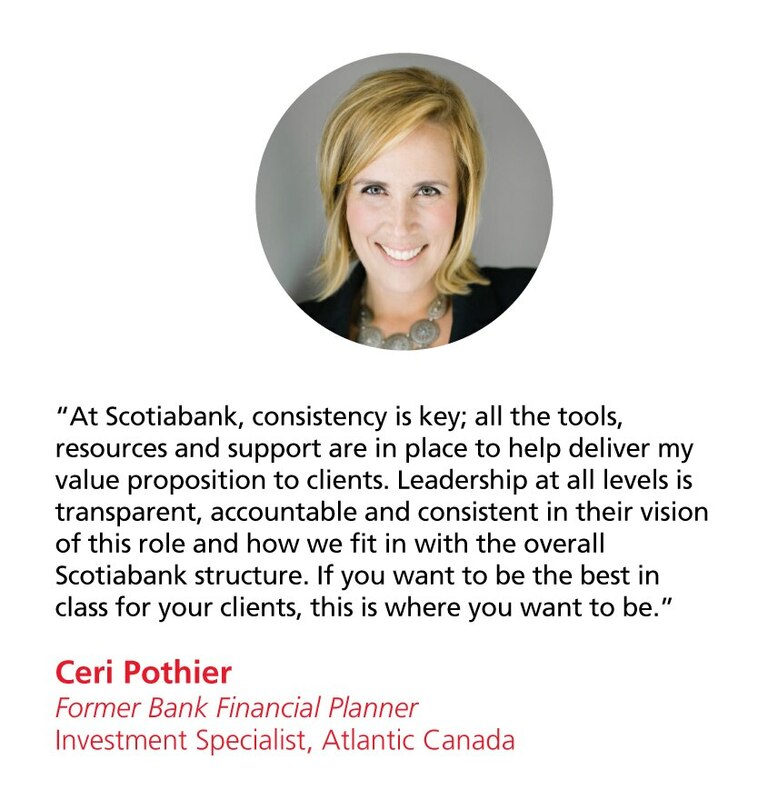 You will have the opportunity to nurture and expand your business within the growing mass affluent client segment with the strength of one of Canada’s leading financial services providers supporting your efforts.